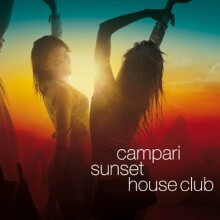 Campari Sunset House Club - Compiled by Sinan Mercenk: This Vocal- und Deep House Songs will make you dance into the sunset. The perfect start for your evening was compiled by Sinan Mercenk for Campari. Finest House-Music on 2 CD's.